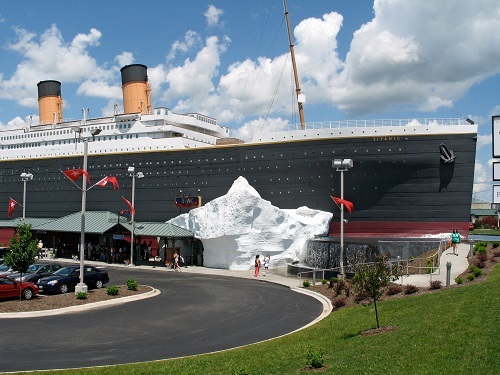 The Titanic Museum is a must see on your next visit to Branson, Missouri! Each guest entering the ship will receive a boarding pass of an actual Titanic passenger or crew member. Try and feel their presence in the galleries where over 400 personal and private artifacts are on display. As you walk through the museum, you will discover your passenger or crew member’s fate in the Titanic Memorial Room where 2,208 names line this historic wall. You can also explore the heart of the ship: the Grand Staircase. It is constructed from the original Harland & Wolff plans with its oak carvings and cherub statue. If you’re feeling romantic with your loved one, you can renew your vows at this beautiful sight! Visit Branson’s Wild World animal adventure park and aquarium to go beyond cages for a truly amazing experience with the animals. Visit the crocodiles and discover a vast species of poisonous snakes, insects and many other deadly and not so deadly creepy crawlers! You can also get nose to nose with beautiful wild wolves separated by only a piece of tempered glass. After playing with the animals, enjoy other attractions like the Motion Theater and mini golf. 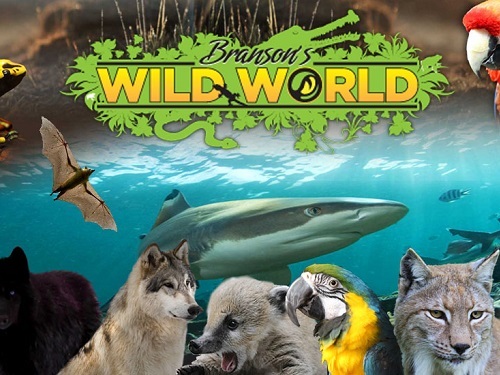 Don’t miss this experience next time you come to Branson, available only at Branson’s Wild World. 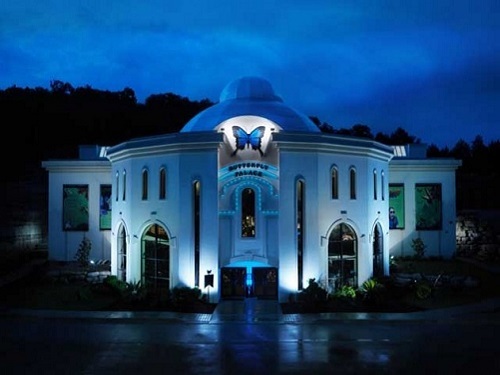 Nestled high up on a hill sits The Butterfly Palace and Rainforest Adventure in Branson, MO! Walk among thousands of live tropical butterflies imported from exotic rainforests all over the world. Each unique butterfly will flutter right before your very eyes and if you are lucky, they might even land on you. Enjoy a once in a lifetime experience at this unique attraction! A 3 Day Wristband allows you to experience all there is to offer at The Butterfly Palace including the Emerald Forest Mirror Maze, Great Banyan Tree Adventure, Educational Videos, and the Living Rainforest Science Center! Branson is known for evoking feelings of nostalgia. Nothing says nostalgia better than toys that take you back to your childhood at the World’s Largest Toy Museum. Rediscover the joy of your favorite antique toys and reminisce about your beloved childhood heroes such as Shirley Temple, Tom Mix, and Groucho Marx. You’ll find toys as old as the 1800’s and as new as Star Wars, as tiny as a thimble and as big as a genuine, full-size Rolls Royce. Everyone, no matter their age, will find something to appreciate. 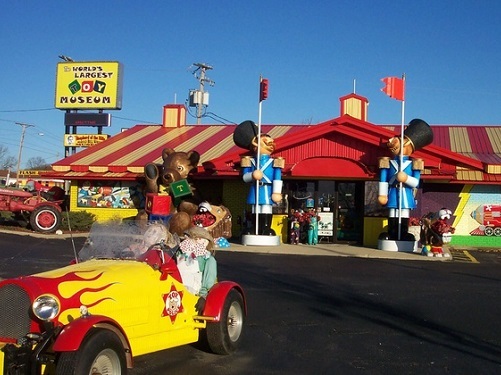 Adults and children will also enjoy viewing the toys, many of which are considered Branson antiques. They have antique toys from every era that are sure to delight and bring back those childhood memories! 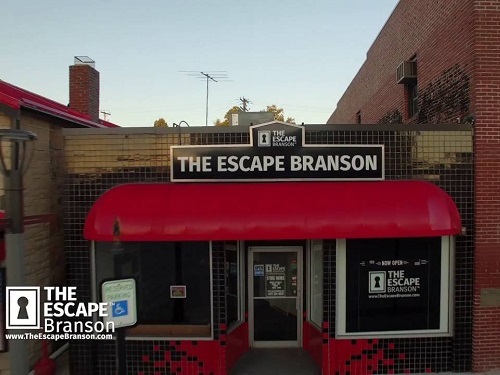 One of the newest forms of exciting activities to reach Branson is The Escape Branson: Escape Room! Offering escape-room challenges to suit varying skill levels, these games put your skills to the test as you try to understand clues and solve riddles while working to make your way out of confinement. If you’ve never experienced an escape room before, here’s how it works: You and your team are locked in a themed room and given a scenario that requires you to use carefully selected hidden clues from within the room to advance through the game. Generally, you have about one hour to complete the challenge before the clock runs out! What are your favorite things to do in Branson? Share with us on Social Media.